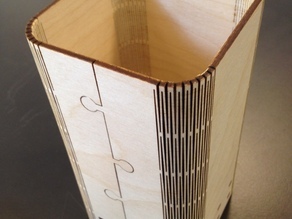 But this at NextFab in Philadelphia out of 1/8" birch. Came out really cool! Will be printing more with designs on the white spaces.